She's hoping someone had spotted the precious item and can return it to her. 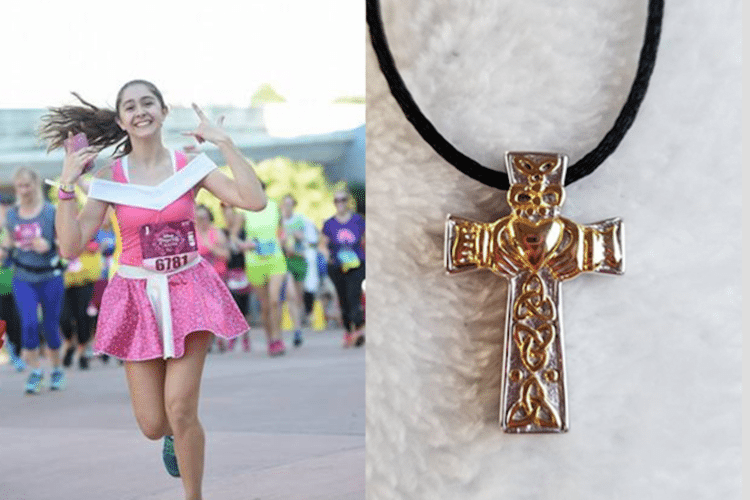 A Georgia woman who ran in the 10th Anniversary Disney Princess Half Marathon over the weekend says she lost a cross pendant necklace filled with her daughter’s ashes on Sunday. Chasity Foster, a teacher from Augusta, Georgia, lost her 17-year-old daughter, Shaylin, in a car crash on her way to school last month. Shaylin was a high school senior who had been accepted into college to become a biomechanical engineer with the dream of creating prosthetics for children. Before the tragic accident, Foster said the two used to run several marathons together; including the Disney marathon. “She was a very fast runner. She was involved in soccer, cross country and track,” Foster told KMTV Digital Producer Veronica Beltran over the phone. 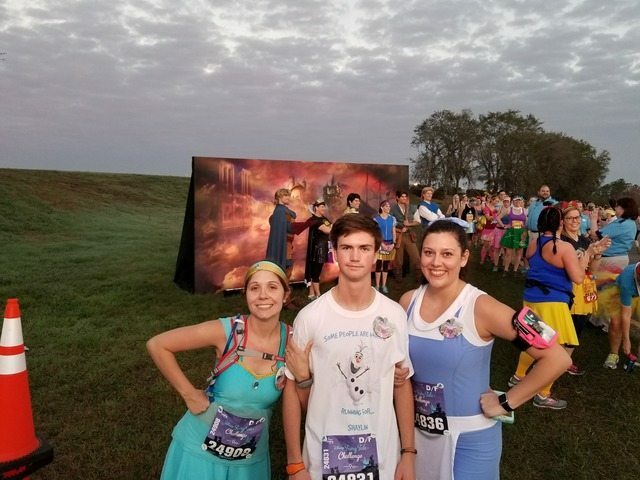 Foster said this year they had signed up for the Disney Fairy Tale Challenge, previously known as the Glass Slipper challenge, — which involves a 19.3 mile magical adventure in two days including the Disney Princess Enchanted 10K and the 10th Anniversary Disney Princess Half Marathon. She said after last month’s accident she was unsure about participating in the race. 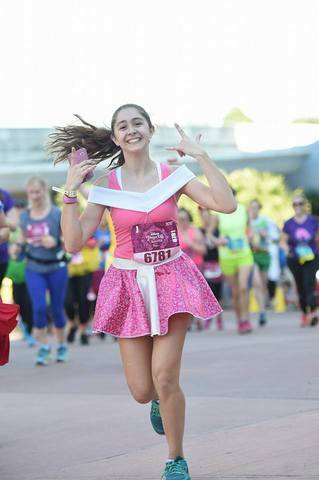 After Wesley Baker, Shaylin’s best friend, asked his mom, “what if Shaylin would have wanted us to?” she knew they would in fact be heading to Florida for the race to run in her honor. Foster said her husband, Chris, ran in Shaylin’s place and even wore her Princess Anna costume. During Sunday’s marathon, Foster says she was hesitant to wear the cross pendant necklace with Shaylin’s ashes because it means so much to her but she wanted her daughter to be there with her as she ran even if she wasn’t there physically. She said she was still wearing the necklace when they were in front of the Magic Kingdom parking lot entrance. A short distance later, near the princesses, is when she realized it was gone. She went to look for it with her family and friends, but wasn’t able to find it before heading back to Georgia. “To lose this necklace is just devastating and priceless. No amount of money in the world could replace this necklace,” she said. Foster said the necklace matches her daughter’s promise ring — which her father gave her at her 16th birthday — and has her name engraved in the back. 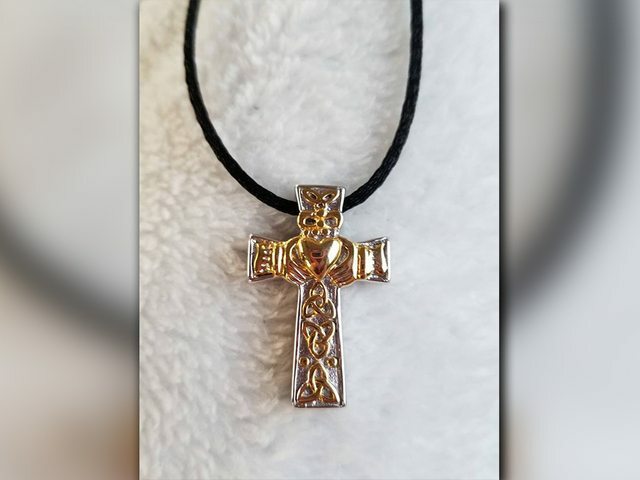 As word of the missing necklace started to spread across social media, one woman decided to step up to help the Foster family. Missy Hartberger of Ohio was touched by the story, connected with Chasity and organized Operation Restoring Faith. This literal search party—held on Friday, March 2—was coordinated by Hartberger to bring together a group of people to the race course to do a thorough, intense search of the area in the hopes of finding the missing necklace. Hartberger worked with Disney executives to search not only the race course areas, but also backstage venues where street sweepers could have pushed the lost pendant. She said Disney representatives have been incredibly helpful in the search. However, the Fosters and their supporters are not giving up hope. The search continues despite their return home. If you find the priceless necklace, you can contact Foster at [email protected] or her Facebook page or even turn it in to Disney’s lost and found.